In 1956, Sinatra became friends with tough guy actor Humphrey Bogart. Shortly after they became close, Bogart was diagnosed as having throat cancer and Sinatra visited him often and, in the process, got to know Bogart's wife Lauren Bacall well. A year later, on January 14, 1957 Bogart died. 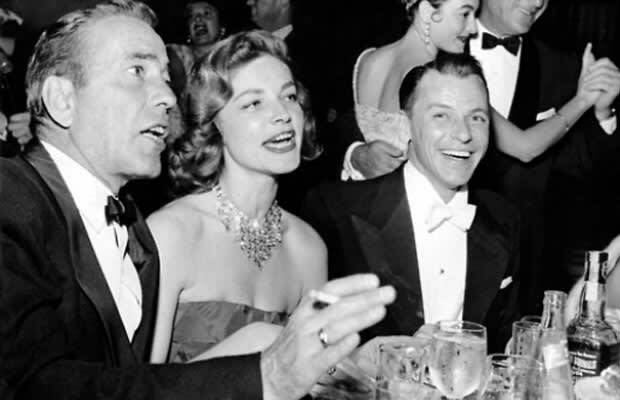 Afterwards, Sinatra was often in the company of Bogie’s widow. The following year, Sinatra proposed to Bacall, who agreed to marry him. Nevertheless, Frank left the following morning for Miami.